In this series of 30 daily articles celebrating the upcoming 30th Anniversary of Super Mario, various members of the Nintendo Life extended family will share their memories and thoughts on the iconic franchise. Next up is reviewer and news contributor Mitch Vogel. Now with 100% more Yoshi! May 23, 2010. That date will forever hold significance to me as it was the day that I finally got to play Super Mario Galaxy 2. I played through Super Mario Galaxy shortly after it came out and the one thing that I really felt it was missing was Yoshi. I am a huge fan of the green dinosaur and - at the time - wanted nothing more than a chance to play as him in a 3D game where he didn't melt if he came into contact with water. My dreams came true when I watched E3 for the first time and saw that not only was Super Mario Galaxy getting a sequel, but Yoshi would be a prominent part of it. I was positively floored; during the following months I pored over every minor detail that emerged around the highly anticipated sequel and spent much of my time in school daydreaming of exploring the stars with Mario and Yoshi. Even now, I can honestly say I have never been so hyped for an upcoming game. May 23, 2010 was a sunny, pleasant day. I remember mowing the lawn that afternoon and the only thing on my mind was that I was just hours away from gaming nirvana. Immediately after finishing the lawn, I hopped on my bike and booked it over to the closest Gamestop. There was no line, no hassle, no delay; I showed the man my pre-order receipt, he reached behind the counter, and handed me a brand new copy of Super Mario Galaxy 2. Sunlight glinted off of the smooth cellophane wrapping and the wonder and excitement depicted in Mario & Yoshi's eyes on the cover art didn't even come close to the look in mine. This was it, I was finally holding it in my hands; all of the waiting was over. To put it mildly, I was stoked. Heck, I even took a picture with the potato-quality camera of my DSi. The best part about this story is that the actual game had completely delivered on my unbelievable levels of hype; my 13-year old brain was suitably blown by the time I had finally watched the credits roll. I had once thought that Super Mario Galaxy was the epitome of 3D platforming perfection, yet Nintendo had somehow managed to capture lightning in a bottle twice. Simply put, I believe that Super Mario Galaxy 2 is the perfect example of how to properly execute a sequel. It built upon the ideas of the original in new, innovative ways, while also managing to add enough new content that it forged its own identity and didn't feel like a soulless retread. To this day, I still hold out a cautious hope that Nintendo will come to its senses and create a Super Mario Galaxy 3. Super Mario 3D World was excellent, but it felt like a conservative step back after the intergalactic adventures that took place on Wii. Whether or not Nintendo would be able to successfully pull a hat trick without being stale is anyone's guess, but I know for fact that I'll be there on launch day if they ever choose to go down that road. Bought this game and never could finish it. Not my favorite Mario game. SMG 2 was my first Wii game and I loved every minute of it. After 100%ing it four times I kind of want something new for the next 3D Mario game though as a result of that. With Mario Maker coming out Nintendo will have to step up their game in order to make a game that surprises and delights players like this one did since you can now create levels that are possibly better than the ones in the original games thanks to its powerful creation tools. It will be interesting to see the next evolution of the Mario series to say the least. It was alright.. Definitely not one of my favourites. Undoubtedly one of the greatest games of all time, in my view. I would love to see Super Mario Galaxy 3. My second favorite Mario game of all time with Super Mario Galaxy being my favourite because it's more original.I really loved the Super Mario Galaxy series more than any other Mario series.I'm a huge fan of 3D platformers. I was also 13 when I got this game. !00% both games. 3D platforming perfection and out of the 2 probably the better game overall but the original will always be my favourite,a magical game that really took me by surprise. I'd prefer a Super Mario 64 2 or Sunshine 2... or a new 3D game that brings back the open levels. Galaxy 2 was alright, but it was still linear. Galaxy 1 and 2 are the best 3D platformers of all time. inb4 nostalgic young 2X year old claiming the 64 has better. WhrnI played it I was 25 years old. It was like playing Super Mario 64 for the first time. But more. This game still fascinates me, and I've been playing it yearly since 2010, because it demands me too. It is fantastic. @DreamOn @Octane Yeah, I was really hyped for this too, one of the few games I had gotten at launch at the time. But it was so linear and souless, it ripped so many assets from the first game yet still felt nothing like it (The "mini" Dino Piranha Plant at the beginning left a bad taste in the mouth that lasted with me through the whole game). The Cloud Flower felt like the only power-up to be used extensively, while the Boo Mushroom is only used once in the whole game! But Yoshi was cool, I guess. Galaxy 1 had a nice mix of linear and more open level design (Beach Bowl and Buoy Base were some of my favourites), while Galaxy 2 was entirely linear. Even the hub "world" is tiny. Overall, Galaxy 2 with its reused assets and story, linear level design seemed like an attempt to sweep the first game under the rug and replicate its success, much like Pikmin 3 did to 2 (and both games where Shigeru Miyamoto was at the helm, I wonder...). The final world being made up almost entirley of levels ripped from the first game really rubbed me the wrong way. The only galaxy name I can remember from the second game is Supermassive Galaxy just out of how lazy the whole thing was. And then there's that final level and its 30 Hammer Brothers, 'nuff said. Easily my least favourite Mario platformer. I'd also like to point out how the cover art features a planet from the first game that doesn't appear in any shape or form in the game itself. That makes me chuckle more than it should. I never got round to playing this one, when I finished the first Mario Galaxy. I thought it was fun, but the experience for me had taken years with me playing it on and off (don't ask) so I didn't really want to go through all that again. I considered it at first, but other games put it out of my mind. Loved this better than the original. My only gripe was the ridiculous requirement to deposit tens of thousands of star bits with the bank toad. I had to find that out online, and I still haven't managed to aquire enough to unlock that ridiculous last level. I've also lost my save file since! I love this game! It may sound like a reach but it's actually my all time favorite. Only reason people hate it is because it's too much like Galaxy 1. @FlappyFalco The planet in question can actually be found in the second level of the game. @DarthNocturnal I liked the Galaxy games too but it would be nice to see some more open levels that allow you to explore and discover things like 64 and Sunshine. I also really like Sunshine because Mario was so agile and quick at moving - they slowed him down for the Galaxy games and it made it less challenging and less fun in my opinion. I thought Galaxy 1 was ok, for a Mario game, but Galaxy 2 beats it in every conceivable way. As has been mentioned, it's what a sequel should be like. Still, SM64 rains supreme as the ultimate 3D Mario game. Even though it's a bit rough in places when playing it now, though I forgive that since it was one of the first Nintendo 3D games, the openness and freedom you felt just hasn't been matched, even with the Galaxy games superior graphics, sound and tighter controls. And than just random hate for a seperate game, what a pointless article. Not a single insight into the game other than oh they added yoshi. @FlappyFalco Oh, Peewee Piranha? I thought that boss was pretty cool. Just like Dino and Petey Piranha in the previous 3D Mario games. My main problem with the game was its linearity, which was even worse than Galaxy 1, the lack of HUB world and so on. Also, whilst Galaxy 1 had this very distinct space theme, I felt that Galaxy 2 mostly took place in the clouds. Just a minor complaint, but it definitely didn't feel as epic or grand as Galaxy 1. First game I got hyped about. @Octane Yeah, while arguably just as fun to fight, I just thought he was kinda a blatant, shameless, lazy rip off of the original first boss, a bad first impression overall, especially when this turned out to be a running theme of reusing ideas throughout the game. If he was a hidden boss later on in the game as a throwback to the original, I wouldn't have minded as much, but the first boss, occupying the exact same role? At least Minileg isn't anything like Megaleg from the first game. I too noticed the lack pf a space theme, there did seem to be a lot of clouds (and cloud flowers), and the lack of Beachbowl style levels. It kinda seemed to try to be a middleground between the original and 3D Land, which didn't really work out IMO. But as we all know, anybody who says it's better than the original just really likes Yoshi. I was completely not hyped for this game because it looked like a rehash that couldn't possibly live up to SMG. However I ended up buying it day one just because I had extra money. I loved it so much that the original Galaxy became boring to me in comparison. Agreed. Best game ever. Blimp Yoshi FTW. Hm. To this day, I still have both SMG 1 & 2 for the Nintendo Wii. *Is not that freaking hard! Just use the engine of Super Mario 3D Land, and make it like Super Mario Sunshine. 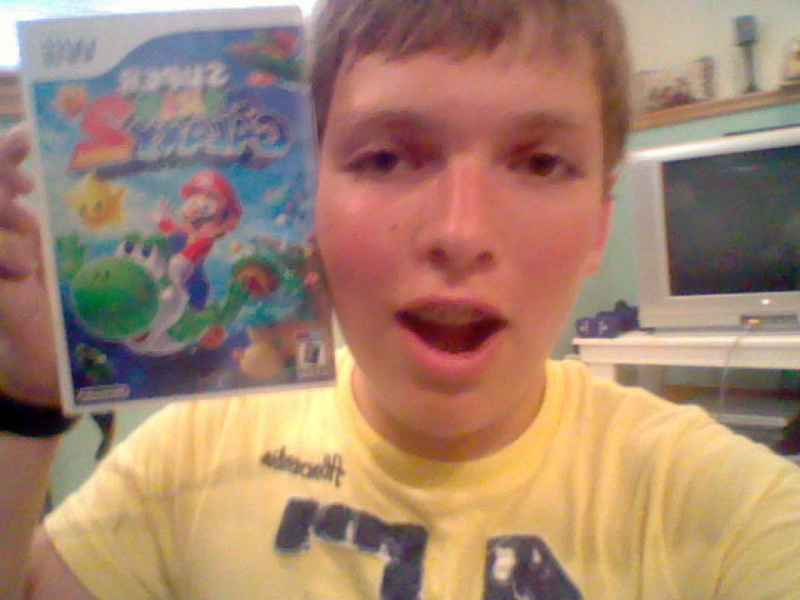 This was like a dream come true for me, more Super Mario Galaxy?! Yes please! Both those games are near perfect, I had myself convinced we'd get an HD Galaxy game on Wii U... maybe on NX, if so, count me in Nintendo! I can't remember if it was Miyamoto or someone else that says SMG2 is really like 1.5 since they had so many ideas for Galaxy that they just couldn't fit in. I liked Galaxy more just because Rosalina was featured much more prominently in it vs 2. I also liked the observatory hub better that starship Mario. I wouldn't mind a SMG3, but I worry for Mario's future, as the "New" and "3D" games have shown me, that the question of "Where can Mario go next?" is starting to hit. It's one thing to experience Mario's 2D side scroller SMB when it first came out. Then the renaissance of SM64. Then the redefining, definitive 3D platforming glory that was the SMG series. Gameplay-wise, I don't know where Mario can go from here as I don't think there is anything "better" or "revolutionary" beyond Mario hitting the limitless boundaries of space. I feel like the 3D games are a redefining and merging of Mario's 2D roots with his 3D outings, but it feels more of a re-do of past concepts and tropes rather than "the next big Mario". All in all, whether Mario can top his best recent acts ever again, I'm just going to enjoy Mario for Mario from here on out, cause there's going to be a lot of repetition/re-do/remixing unfortunately going into the future-- Maybe that's the sole motivator for Super Mario Maker. YOU make the Mario... nothing else new can be made. Just my 2 cents. I remember the day my bro came with the copy I had ordered. I worked at night and he gave me the game like 5 minutes before I had to leave home for work. Longest night ever. I love both Galaxy games but this is my favorite. 13 years old!!!! Jesus Christ your but a child! Man I’m only 32 but I feel so old in the world of gaming. At 13 I had the same experience but with the launch of Mario 64!!! Bam beat that! I'm surprised to learn that NL has a contributor who's (if my calculations are correct) either still in high school or has only just left. It's not a bad thing (the article is certainly as well-written as any other on NL), just... interesting. Shows that we're well into the second generation of born-and-bred gamers in journalism. @RaymanFan2 Yeah, I'm headed to college in two weeks! Am I really considered only the 2nd generation? I guess I've never really thought about how young the industry really is. This game is awesome, probably my favorite Wii game. I honestly didn't think they'd be able to top SMG 1 but just like he added to Super Mario World, putting Yoshi in the game put this one above the original, imo. In fact, I'd put SMG 2 at the top of the list of 3D Mario games. I also hold out hope for a third entry. Super Mario 3D World is excellent but it felt more like an evolution of 3D Land and wasn't really the direction I wanted to see the console Mario games take after the Galaxy series. I liked Galaxy 2, but for me, every 3D Mario was just working its way toward 3D Land and 3D World. Up until that point, 3D Mario never really felt like Mario to me. The trappings were there, but the mechanics were just completely different. @MitchVogel I would say probably more like tail end of 3rd but more like 4th. 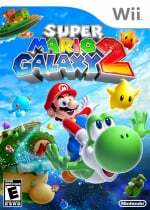 I myself have played all 3D Mario games but the Galaxy series are in my opinion the best. The controls are smooth, fun level design and it brought quite some fun innovations like the manipulation of gravity. SMG is the better one of the two games in my opinion. SMG delivered more innovations then SMG2, however SMG2 expanded on the level designs and the game was thankfully more challenging then the first. Although even with these changes i cannot lose the feeling SMG2 is more an expansion of the original. My only favorite game for the Wii. Certainly better than the original in every way. Luigi's playable at the start so you don't have to redo the process of getting the stars all over again like the original. Granted, its the experience with a new character that probably enhances the game, but the level design does very little to make it less of a chore. Not just my favourite Mario game, but my favourite game full stop. I never thought anything would come to within touching distance of Super Mario 64, and nothing did for ten years, Mario Galaxy coming so close. Then I played Galaxy 2 and was blown away. It's the only thing that's ever rivalled to the sheer nirvana that was May 25th 2005 (Liverpool fans will know what I mean) and five years on not one single game has been even a fraction as good. And there's been a lot of good games in the past five years. I can't express my love for it properly. Even saying I'd kick Scarlett Johansson out of bed to play it isn't enough. While a third Galaxy would make me insanely excited (something no game has done this past year or so) if it ever happens I want it to be because Nintendo have done it properly. If they announce it as a NX launch title or not for another ten years, I don't care. Just do it when it's perfect. As it has to be. @Gamer83 Both on 'enemy territory' today I see.